Before joining LyondellBasell, Gallogly spent 29 years with Phillips, ChevronPhillips, and ConocoPhillips. At these affiliated companies he worked in both the petroleum and chemical businesses, acquiring increasing responsibilities and enjoying considerable success. 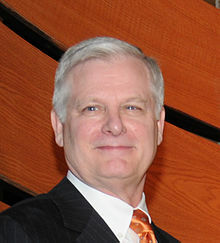 At the time he left ConocoPhillips he was executive vice president for exploration and production. Prior to that he was executive vice president for refining, marketing, and transportation, and from 2000 to 2006 he served as the founding CEO of ChevronPhillips Chemical Company – a Phillips-Chevron joint venture.